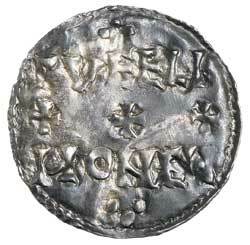 AETHELSTAN, (924-939), silver penny, small cross both sides, North Eastern I Mint, (1.43 g), Cugeli moneyer, (S.1089, N 668). 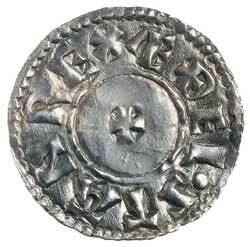 Toned, good very fine and scarce. Ex Matthew Rich Collection and previously CNG Auction 365, lot 510. Also Dix Noonan Webb Sale 127, lot 2275.